Stop Online Piracy Act, commonly known as SOPA is grabbing Headlines nowadays, But what actually it is. Today we'll discuss about SOPA and a list of 5 websites having high chances to shut down by this act. So instead of wasting times lets begin.. According to Wikipedia, The SOPA or Stop Online Piracy Act is United States bill introduced by Lamar. S. Smith (U.S Representative) to expand the ability of U.S enforcement to fight against online piracy and trafficking in copyrighted intellectual property. Similarly there is another Act commonly known as PIPA or Protect IP Act. In simple words, The purpose of these acts is to make harder for site especially based outside the United states to sell or distribute Copyrighted material like movies, music, softwares etc. or simply stop online piracy. Mostly Torrent and file hosting sites are targeting because of tons of copyrighted material. 5 Sites to Shut Down by SOPA? There are many websites likely to shut by Stop online piracy act, Here in this list are few Big online names with High chances of shutting Down by this Act. The Pirate bay is a popular Torrent website. It hosts millions of Torrent files and magnet links. It is one of the largest BitTorrent portal in this world. Since it contains torrent links, which means ton's of copyrighted material like music, movies, softwares and other stuff. Many rumors about shutting of this site are rising all over the internet.. Many people were in shock when they heard the news of Mega Upload shutting down. It was really a shocking moment even for me when heard it. MegaUpload was a popular online file hosting service provider. According to Wikipedia, Mega Upload used to get 50,000,000 visitors per day. Btjunkie is another popular Torrent website. Btjunkie used a web crawler similar to Google's crawler to search torrent files from another torrent sites and then storing them in their database. According to Wikipedia, It had about 4,000,000 active torrents and nearly 4200 torrents added daily, making it the largest Torrent site indexer on the internet. During 2011, Btjunkie was 5th most popular torrent site. 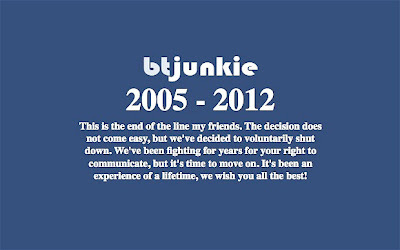 During 2012, when SOPA got in headlines leading to Mega Upload shut, Btjunkie Voluntarily shut their server. File Sonic is a free online file hosting service similar to Mega Upload, Actually it was Mega Upload competitor. On hearing about Mega Upload shut, File Sonic Disabled file sharing functionality, Now you can only upload stuff and retrieve it on your own. Another BitTorrent portal with high chances of shutting down. isoHunt is among popular torrent sites. You've must have noticed that these sites are either Torrent portals or File sharing and hosting service. The Reason behind this that Torrent and file sharing sites have high chances for having Copyright materials, So these type of sites are Targeted by this act. Google, Flickr, Wordpress, Mashable, TechCrunch, Twitpic, Reddit, Tumblr, imgur, Vimeo, Firefox etc. 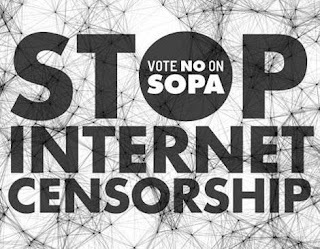 Please Raise your voice against SOPA, If you don't wan't internet to get spoiled by this Act. Please vote to protest, It takes a few seconds. Hope you like this post, If yes then please raise your voice against this cruel act. Click here to vote against this act, every vote is valuable.